← GYMUBOXING LOOKING TO RENT GYM SPACE. Gymuboxing is looking to rent out its gym. Looking for Muay Thai or kick boxing coach or physical fitness trainer, thats license and certified. Gymuboxing is looking to rent out gym morning hours 7 days a week from 6am – 11am Monday- Friday. Saturday – Sunday 7am – 11am. Also evening 7 days a week Hours 8pm – 11pm Monday- Friday, Saturday from 3pm – 7pm and Sunday from 1pm – 4pm. Shared space Monday- Friday nights. Uninterrupted space mornings. Shared space Saturday and Sunday. In addition to renting the Gymuboxing boxing space is; FREE light, heat, air conditioning, wifi, YouTube and Netflix. Boxing space also available for movie shoots commercials and video shoots. Email me @ gymuboxing@gmail.com for rental prices and appointment to see space. Or you can inbox me only on Instagram @ coachkellyrich. 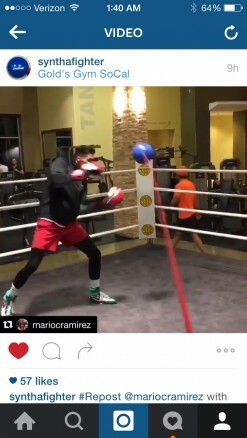 GYMUBOXING is located inside Worlds gym. 1661 weirfield st Ridgewood NY 11385.